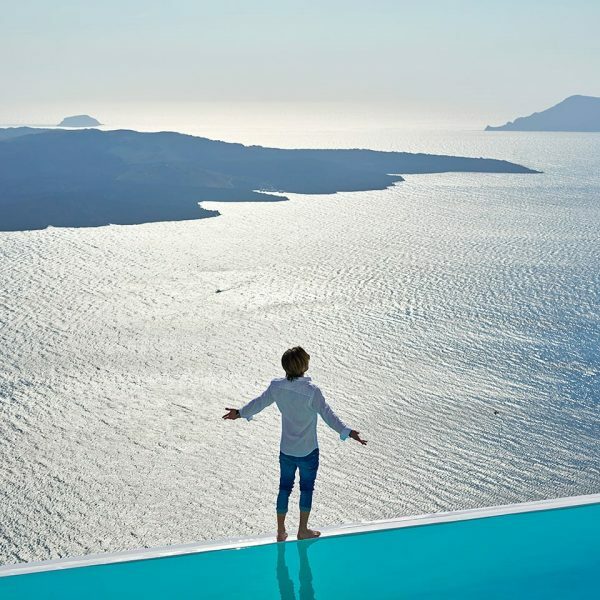 Perched on the lip of the Caldera, Cosmopolitan Suites 4 star boutique hotel is a small luxury hotel in Santorini with an astonishing sea view right in the centre of Fira, the vivacious capital of Santorini Island in Greece. This small luxury hotel in Santorini is an excellent choice for discerning guests and for couples seeking luxury Caldera view accommodation and tailor-made service in the enchanting Santorini Island of the Cyclades islands complex in Greece. 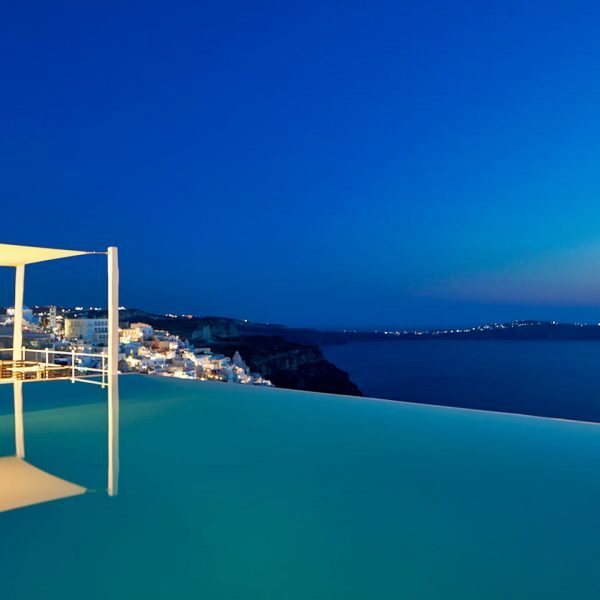 The Cosmopolitan boutique sea view hotel in Fira is ideally situated close to the capital’s restaurants and bars, with easy access to all public transportation and the island’s cable car providing great links to to Santorini’s most renowned attractions. The hotel’s privileged central location and the quality of its customized service, together with its genuine welcoming atmosphere, make Cosmopolitan the perfect relaxing holiday accommodation for couples wishing to explore the Cyclades island of Santorini and experience the island’s legendary nightlife. The luxurious and romantic Cosmopolitan Sea view suites are part of an authentic and splendidly restored captain’s mansion. Inspired by the enchanting traditional architecture of Cyclades in Greece, the Cosmopolitan Caldera view hotel in the center of Fira town offers an authentic island living experience steeped in luxury. The hotel’s dazzling white walls set against the backdrop of the captivating volcanic landscape of Santorini Island emanate an aura of calm with a harmonious fusion of warmth and comfort. 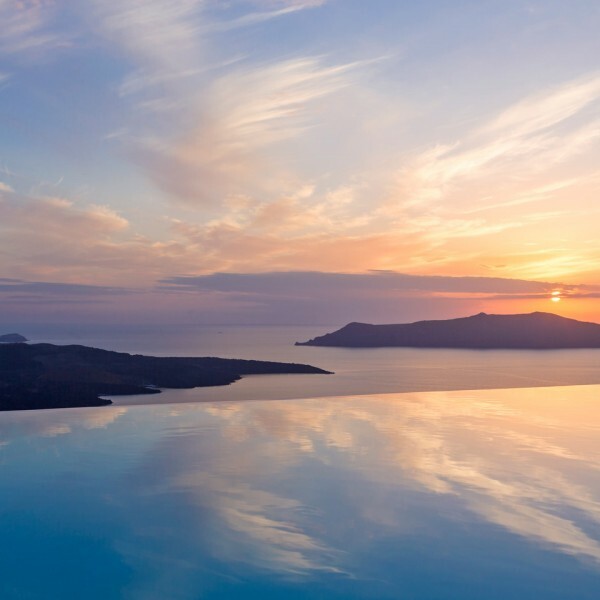 Each of the hotel’s suites offers a spectacular view of the Aegean sea, the island’s extraordinary geological beauty, and the legendary Santorini sunset. Comprising 10 immaculate rooms and suites of unrestrained beauty and a spectacular infinity pool extending to the horizon, Cosmopolitan Suites is a proud member of ‘The Small Luxury Hotels Of The World’ in Santorini, and offers exclusive holiday packages for traditional Cycladic style accommodation of exceptional comfort, complemented by unrivalled personalized services.